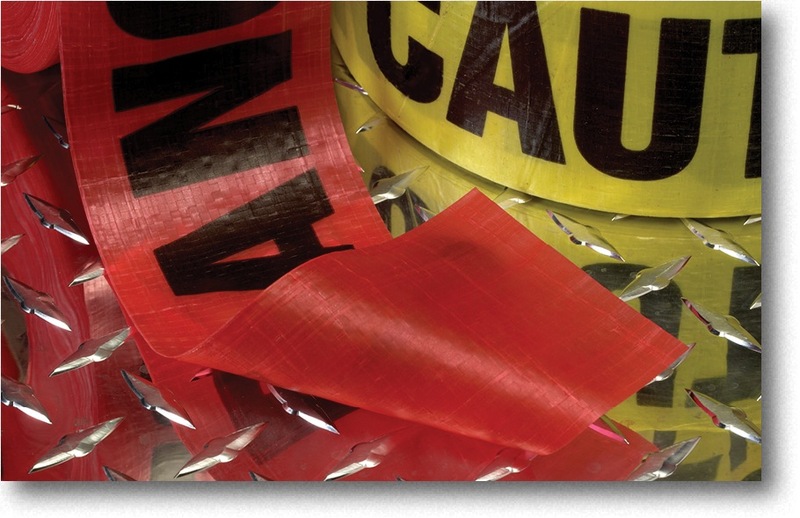 Our 7mil Reinforced Barricade Tape offers increased tensile strength providing extra safety for hazardous areas. This highly visible, highly durable tape is produced from polyethylene embedded with woven polyester fibers which allow it to retain it's shape without sagging or stretching in harsh elements such as heat, rain, or wind. Stock legends include CAUTION (yellow) and DANGER (red) in 3" x 500' rolls. Other legends and private labeling are available, please call.